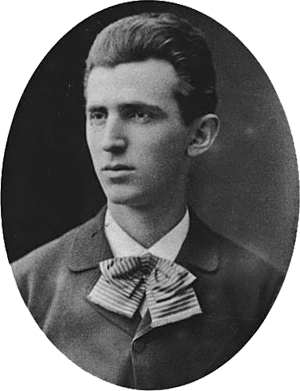 The great inventor Nikola Tesla (1856-1943) was also a great dreamer. In 1893, he started his wireless investigations and several years later he described his futuristic vision: a means of tapping the sun's energy with an antenna, possibility to control the weather with electrical energy, outlined machines that would make war an impossibility, and proposed a global system of wireless communications. In a 1900 issue of the Century Magazine, Tesla published a sensational article—"The Problem of Increasing Human Energy". I have observed the above effects so far only up to a limited distance of about six hundred miles, but inasmuch as there is virtually no limit to the power of the vibrations producible with such an oscillator, I feel quite confident of the success of such a plant for effecting transoceanic communication. Nor is this all. My measurements and calculations have shown that it is perfectly practicable to produce on our globe, by the use of these principles, an electrical movement of such magnitude that, without the slightest doubt, its effect will be perceptible on some of our nearer planets, as Venus and Mars. Thus from mere possibility interplanetary communication has entered the stage of probability. In fact, that we can produce a distinct effect on one of these planets in this novel manner, namely, by disturbing the electrical condition of the earth, is beyond any doubt. This way of effecting such communication is, however, essentially different from all others which have so far been proposed by scientific men. In all the previous instances only a minute fraction of the total energy reaching the planet—as much as it would be possible to concentrate in a reflector—could be utilized by the supposed observer in his instrument. But by the means I have developed he would be enabled to concentrate the larger portion of the entire energy transmitted to the planet in his instrument, and the chances of affecting the latter are thereby increased many million fold. The article caught the attention of one of the world's most powerful men at the time, John Pierpont Morgan, who invited the inventor to his home. Tesla asked Morgan for the money he needed to start his project, but Morgan turned him down. Then Tesla offered him 51% of the patent rights to his inventions for $150000 and Morgan accepted. 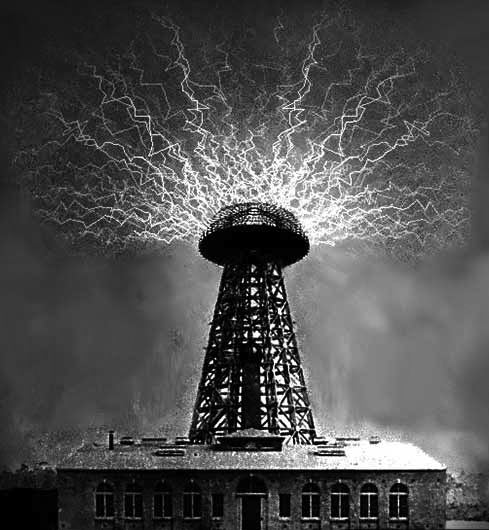 It seems however, in spite of what Tesla told Morgan, his actual plan was to make a large-scale demonstration of electrical power transmission without wires, and this turned out to be a fatal mistake. By 1901 the so called Wardenclyffe project was well under construction, the most challenging task being the erection of an enormous tower, rising over 60 meters in the air and supporting on its top a 55 ton steel sphere. Beneath the tower, a well-like shaft plunged 40 meters into the ground, and 16 iron pipes were driven 90 meters deeper so that currents could pass through them and seize hold of the earth. As Tesla explained—In this system that I have invented, it is necessary for the machine to get a grip of the earth, otherwise it cannot shake the earth. It has to have a grip... so that the whole of this globe can quiver. As Wardenclyffe tower construction slowly increased, it became evident that more money were needed. Tesla pleaded with Morgan for more financial support, but he refused. To make matters worse, the stock market crashed and prices for the tower's materials doubled. High prices combined with Tesla's inability to find enough willing investors eventually led to the demise of the project in 1905, after some amazing electrical displays. I treated the whole field broadly not limiting myself to mechanics, controlled from a distance but to machines possessed of their own intelligence. Since that time I had advanced greatly in the evolution of the invention and think that the time is not distant when I shall show an automaton which left to itself, will act as though possessed of reason and without any willful control from the outside. Whatever be the practical possibilities of such an achievement it will mark the beginning of a new epoch in mechanics.